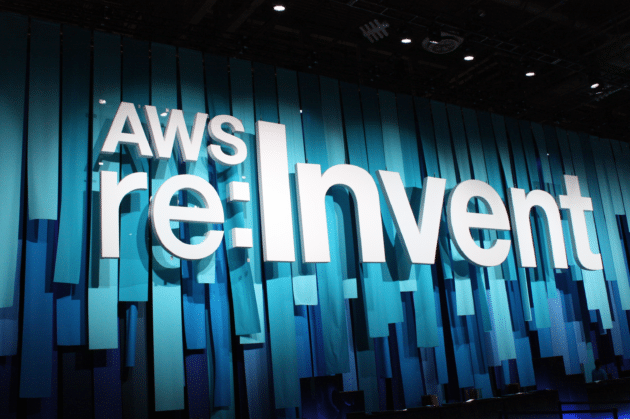 After unveiling a satellite data service, an on-premise infrastructure offering and countless new features in the first two days of its annual re:Invent conference in Las Vegas, Amazon Web Services Inc. this morning introduced yet another set of enhancements for its cloud platform. Many of the capabilities announced today are rolling out for AWS Lambda. It’s a serverless computing service introduced in 2014 that enables companies to run code on the provider’s cloud without having to manually manage the underlying hardware resources, which frees up a great deal of time and resources. Lambda is receiving a feature that AWS calls Lambda Layers. It enables developers to take duplicate code that appears in multiple Lambda workloads and bundle it into a sort of master copy. When the master copy is changed, the modification is applied is applied to all the workloads that depend on it. This feature will make it simpler for companies that rely heavily on Lambda in their operations to ensure that important updates are rolled out consistently across applications. Already, Amazon Chief Technology Officer Werner Vogels (pictured) said in his re:Invent keynote this morning, hundreds of thousands of customers building serverless applications. And it’s not just cloud-native startups. “Large enterprises are the ones that are really embracing serverless technology,” he said. Together with Lambda Layers, AWS is giving customers more flexibility in how they use the service. The provider has added support for external runtime systems, which means that developers can now write serverless applications in just about every programming language out there. Moreover, they’re gaining the freedom to write their code in three popular third-party editors: PyCharm, IntelliJ and Microsoft Corp.’s Visual Studio Code. While at it, the provider has also enhanced AWS Step Functions, another one of its serverless computing offerings. Companies can now use the tool to create multi-application workflows that harness the Amazon SageMaker machine learning engine, the DynamoDB NoSQL database and a few other previously unsupported AWS services. AWS also debuted Nested Applications, which is intended to make it easy to stitch serverless applications together. Alongside the updates to its serverless computing portfolio, the Amazon.com Inc. subsidiary has pulled back the covers on a couple of new services. The most significant addition is a managed version of Kafka. Kafka is an open-source system for transporting real-time data that enjoys widespread adoption in the enterprise. Originally developed by LinkedIn to process user activity metrics from its website, the platform is today used for a wide range of applications ranging from infrastructure performance monitoring to cybersecurity. Amazon Managed Streaming for Kafka, or MSK for short, offers to free up enterprises from having to manage their deployments of the software in-house. The service is also fully compatible with open-source Kafka versions, which will make it easier for companies to migrate existing deployments to AWS. “Amazon MSK operates highly available Apache Kafka clusters, provides security features out of the box, is fully compatible with open-source versions of Apache Kafka allowing existing applications to migrate without code changes, and has built-in AWS integrations that accelerate application development,” AWS wrote in the announcement. Capping off today’s lineup of product announcements is a new self-service version of the provider’s Well-Architected Framework. The tool, which was previously only used by AWS’ in-house solution architects as part of consultations, enables companies to assess their cloud environments against common best practices.